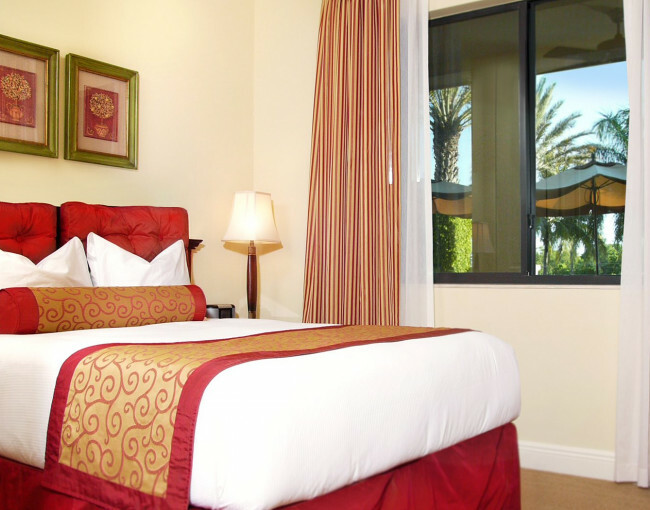 Naples Bay Resort offers the very best in southern comfort, from spacious guest rooms with private balconies to scenic vacation rentals equipped with luxury hotel amenities. 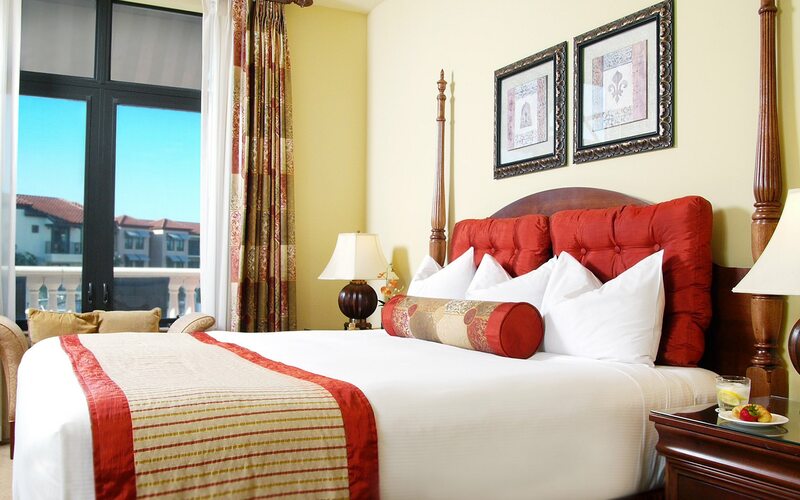 Discover breathtaking views, serene style, and all the convenience of home in our contemporary, waterfront hotel. 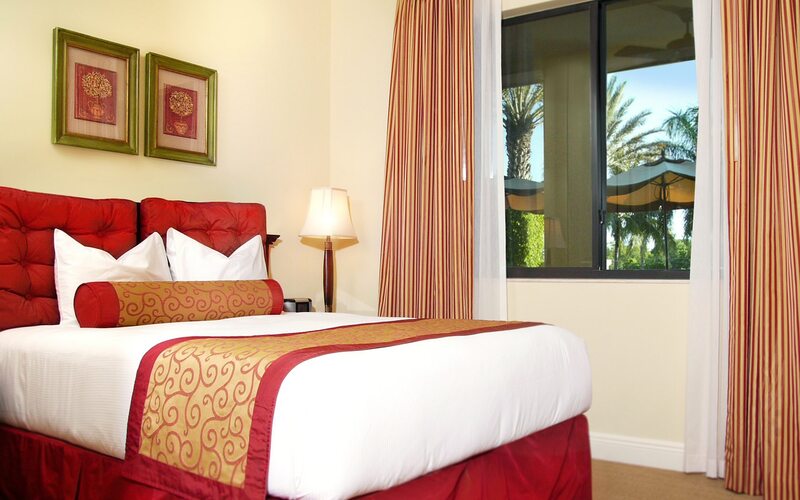 This spacious King Superior room offers a plush king-sized bed, a luxurious Italian marble bathroom with a bathtub and separate enclosed walk-in shower, and a furnished balcony overlooking the scenic waterways of Naples Bay. 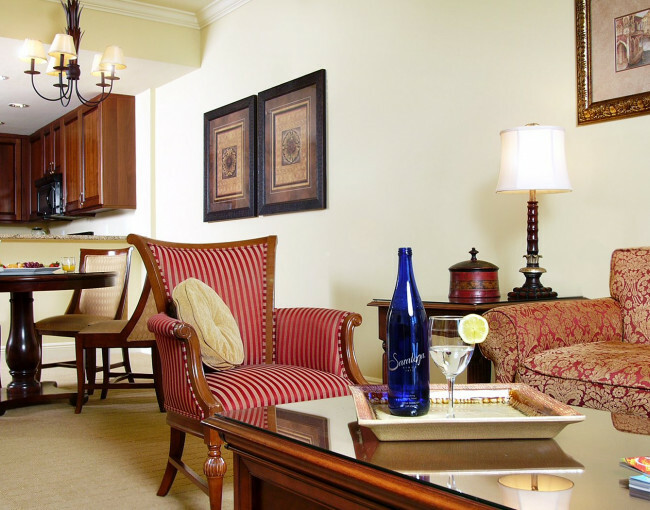 Enjoy stylish Tuscan furnishings, Italian marble bathrooms with both a bathtub and a walk-in shower, a variety of luxurious amenities, and your very own furnished balcony with breathtaking marina views in one of these King Superior rooms. 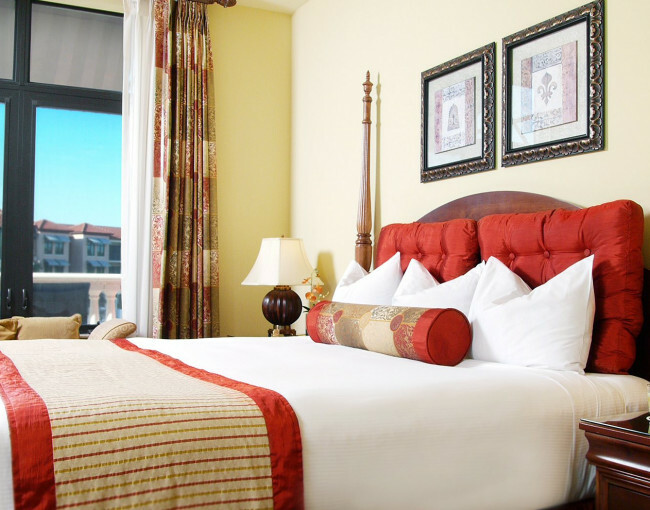 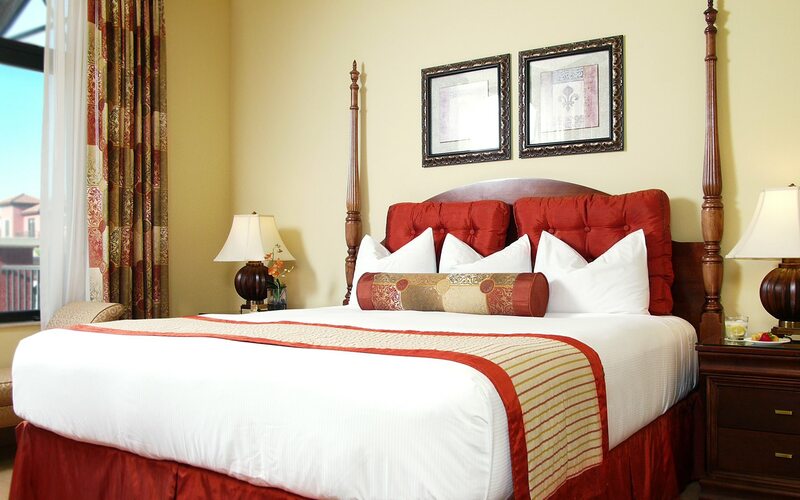 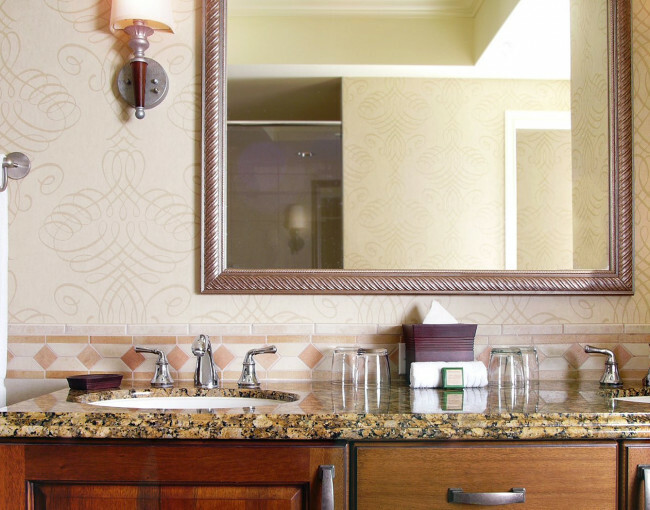 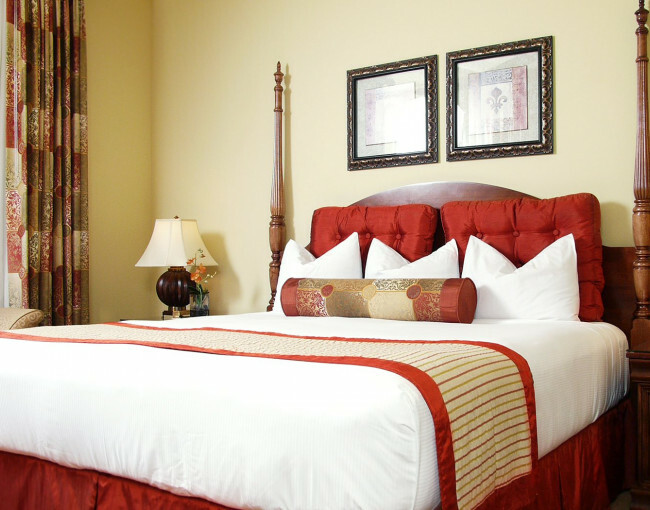 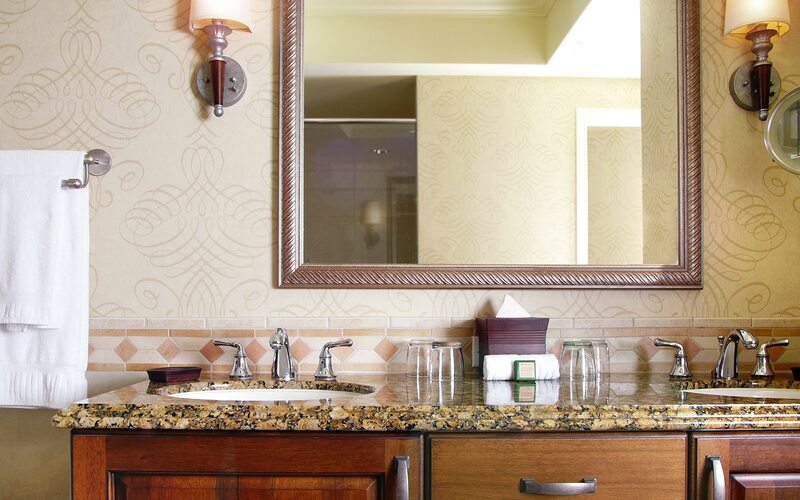 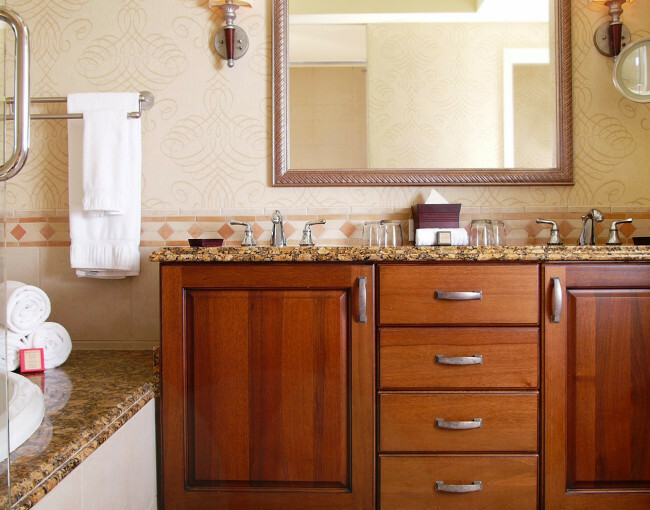 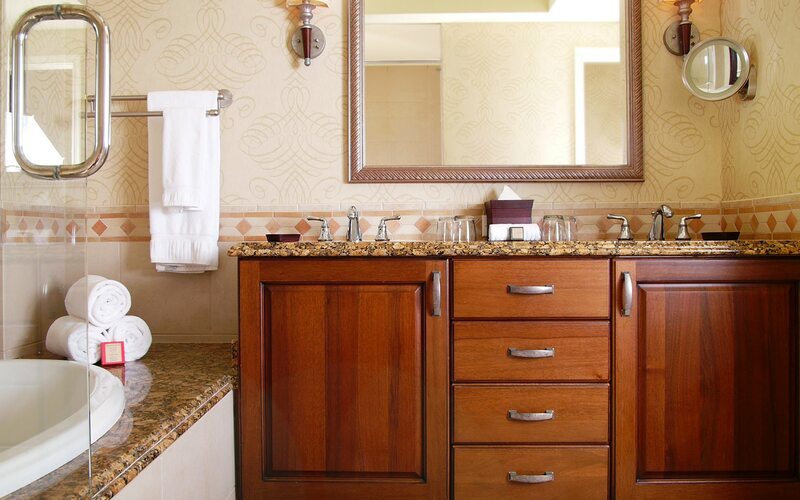 These ADA King Superior Rooms feature our classic Tuscan-style decor, Italian marble bathrooms equipped with a shower chair and grab bars, low counters, low appliances, and a private furnished balcony overlooking the marina. 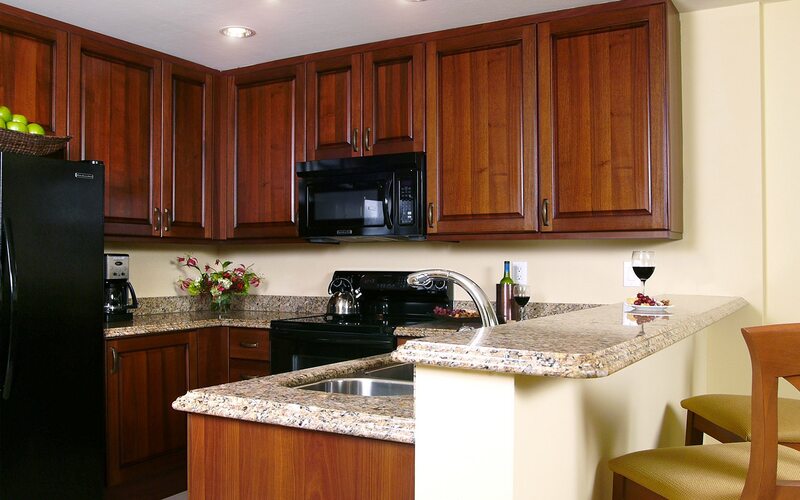 Discover your own elegant oasis, featuring a large living and dining area, a fully fixed kitchen with granite countertops, and a spacious Italian marble bathroom with bath and separate walk-in shower. 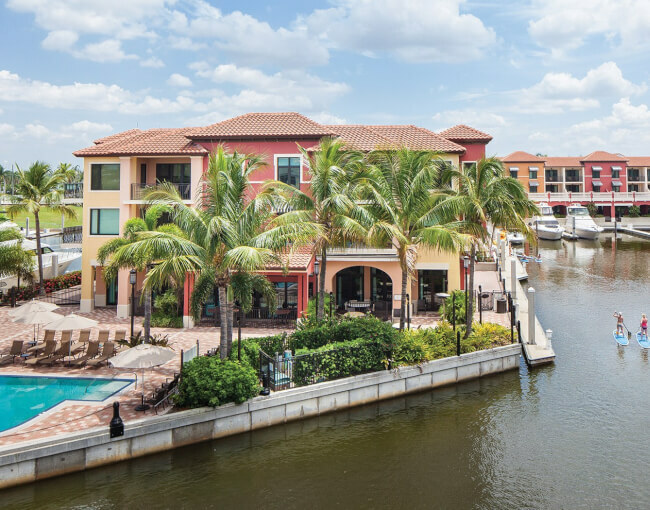 Plus, you’ll enjoy incredible marina views from the privacy of your own furnished balcony. 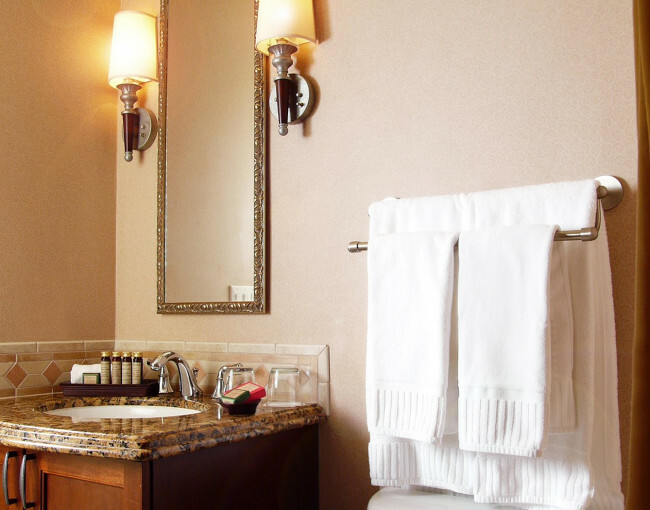 These stylish one-bedroom suites come with all the essentials of our 1 Bedroom Suites Marina View, as well as some convenient ADA amenities, such as a shower chair, grab bars, low counters, and low appliances. 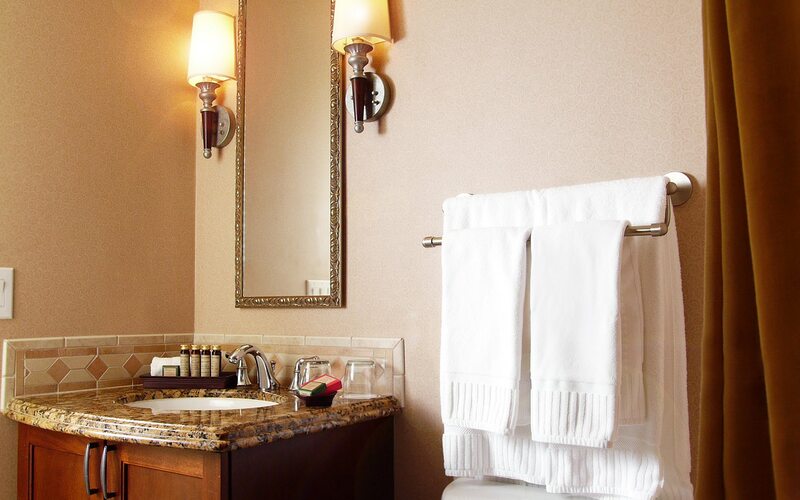 A limited number of rooms offer a roll-in shower. 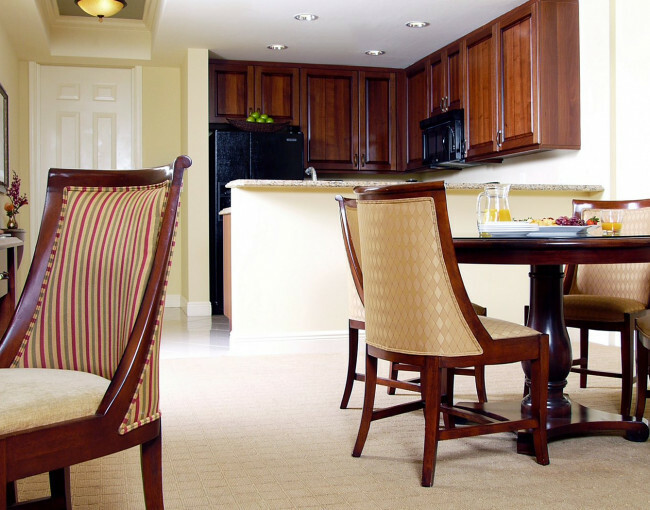 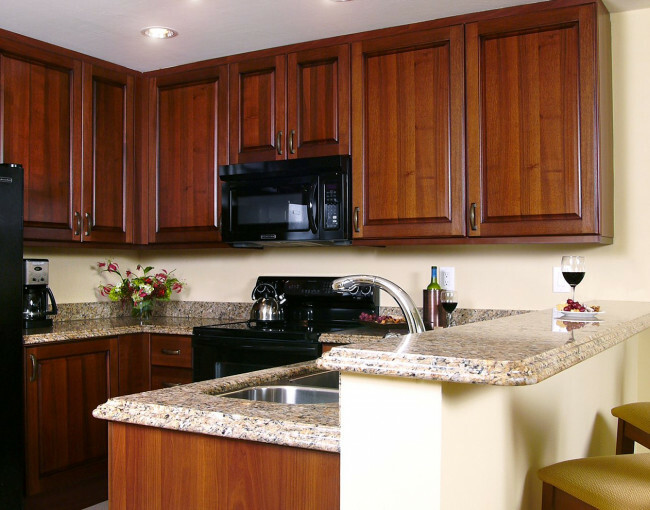 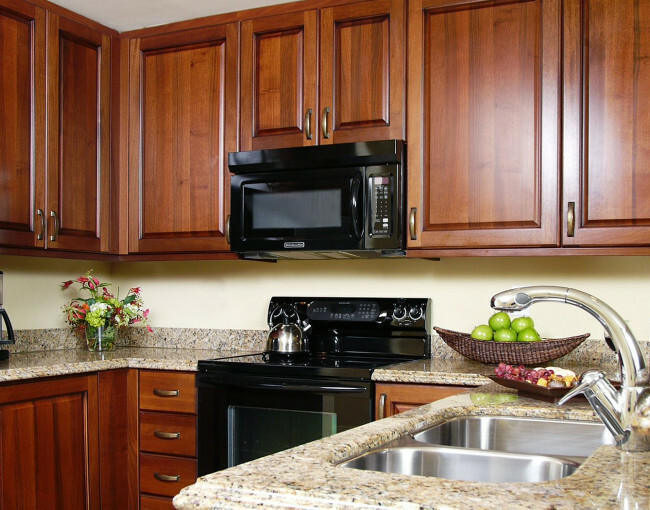 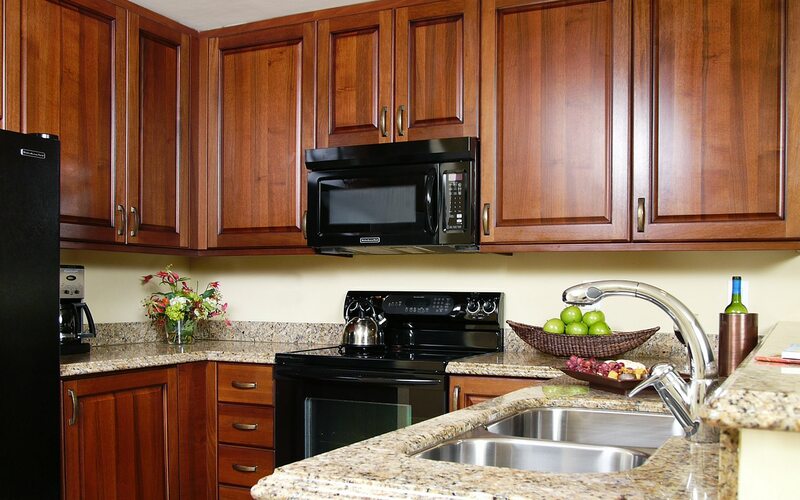 The Spacious and luxurious fully furnished two-bedroom/two-bathroom suites offer enviable amenities and breathtaking views for long and short-term stays, as well as convenient ADA features, such as shower chairs, grab bars, low counters, and low appliances. 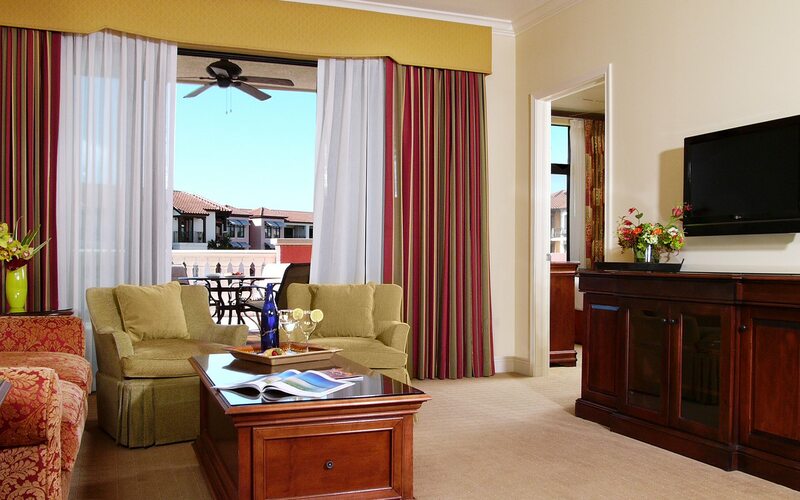 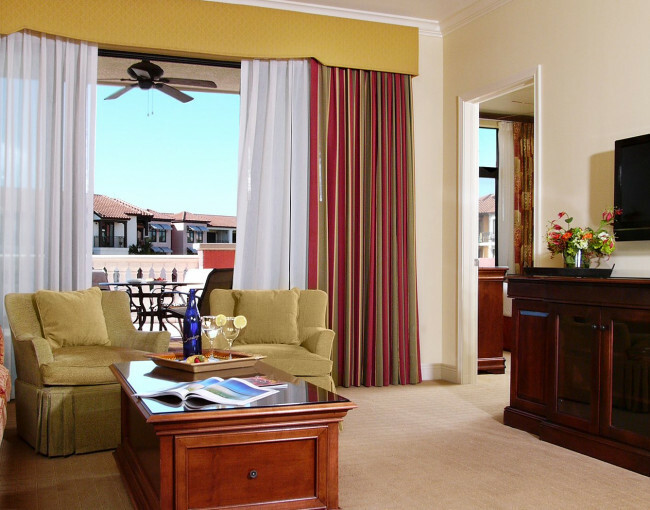 Enjoy all the luxurious, classic in-room features of our 2 Bedroom Suites, as well as breathtaking marina views from the privacy of your very own furnished balcony in this Marina View suite. 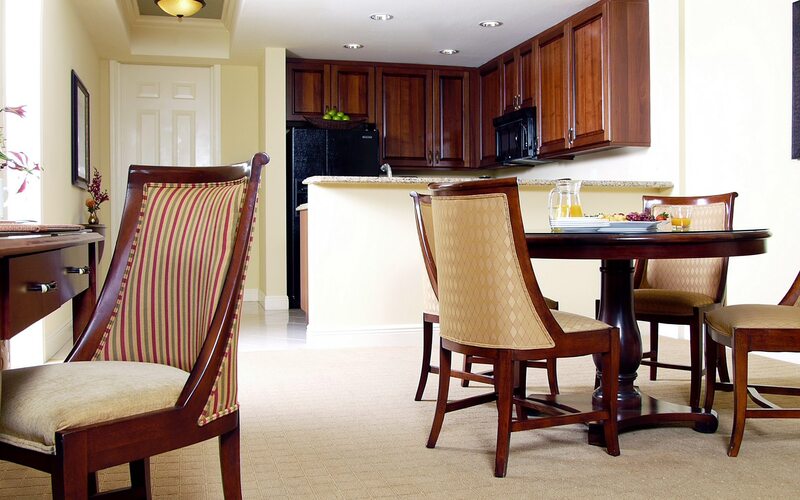 With a roomy living and dining area, a full gourmet kitchen with granite countertops, a master bedroom with king-sized bed and Italian marble bathroom, a guest room with a queen-sized bed and separate bathroom, and a spacious, furnished sundeck patio, these suites have it all. 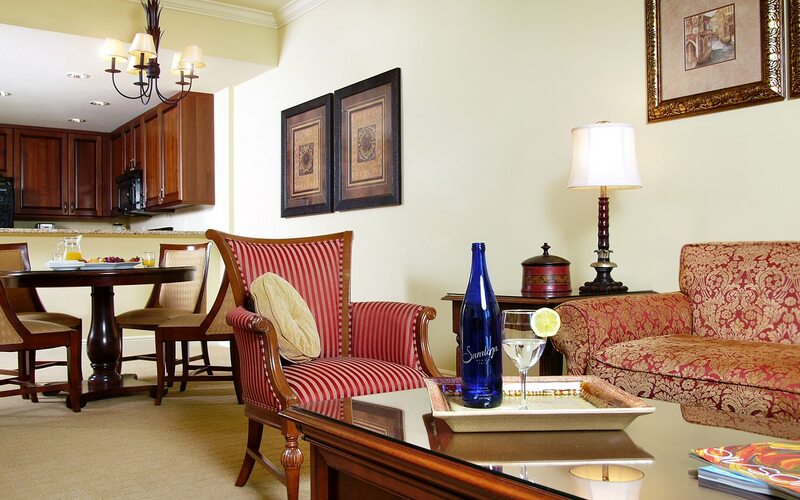 Luxury exudes from each of our two-bedroom penthouse residences, featuring private elevator access, and entrance hallway opening up to a beautifully designed open plan, and a fully tiled great room. 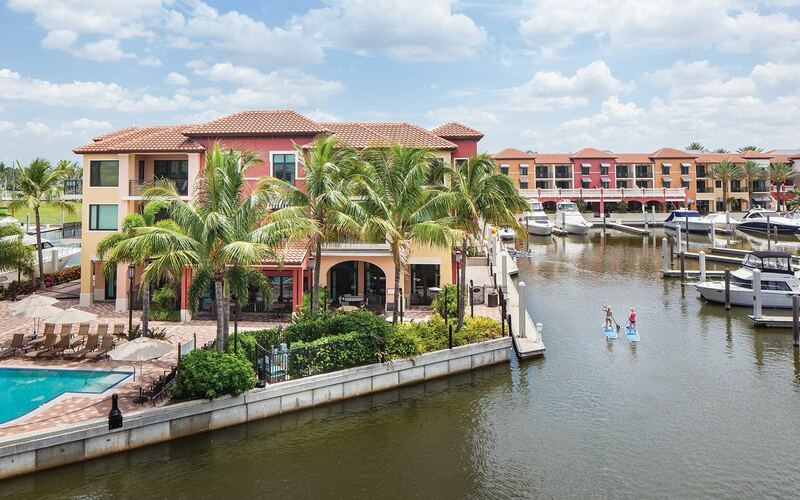 Each of these suites comes with a full gourmet kitchen with granite countertops and stainless-steel appliances, a laundry room, a dining area, and a living area with a furnished balcony overlooking the marina and Naples Yacht Club.